2002: Mendham, for me, is synonymous with civilisation. 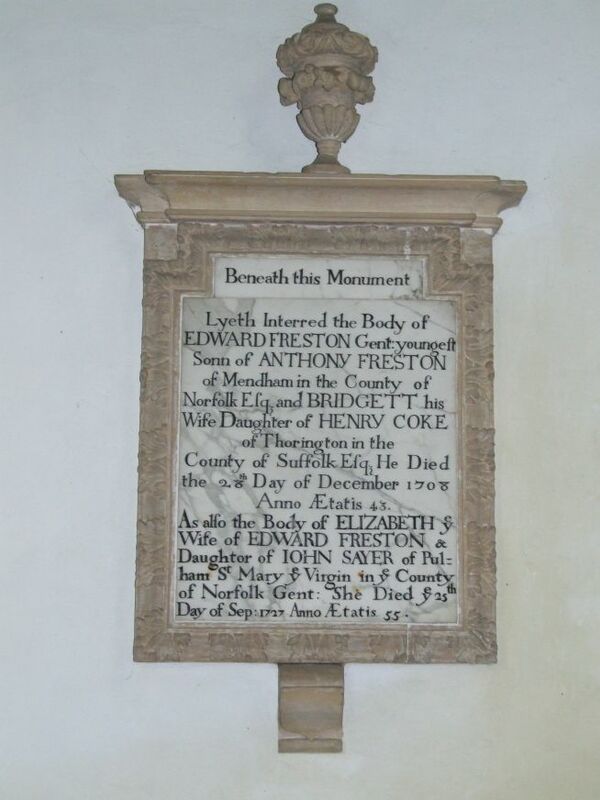 I had come here from Bungay, one of my favourite East Anglian towns, and I had made the choice there to travel onwards on the Suffolk side of the Waveney, even though the more direct trip on the Norfolk side would take me through Earsham and Redenhall. 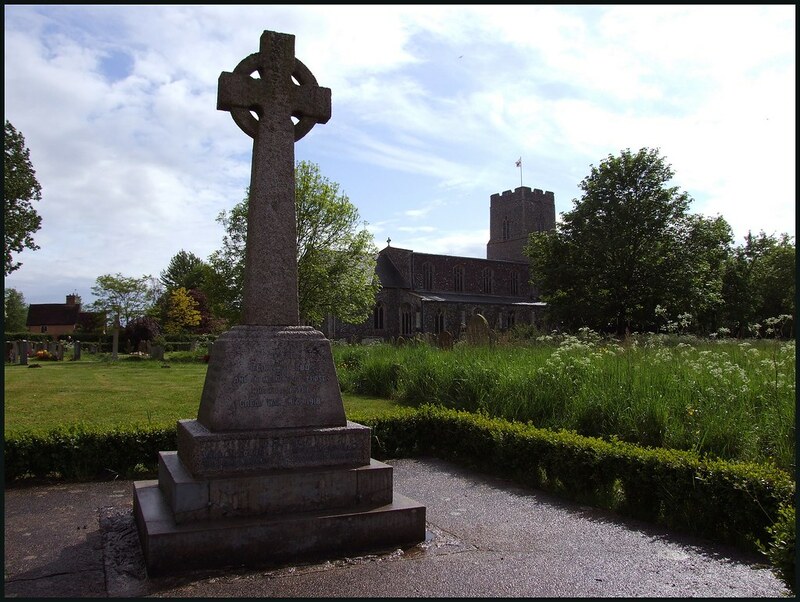 This was because I wanted to visit Flixton, where the 19th century church of St Mary is a direct copy by Salvin of the Saxon church at Sompting in Sussex. Out of Flixton, I could stay on the main road, or try and take a short cut through the Saints. 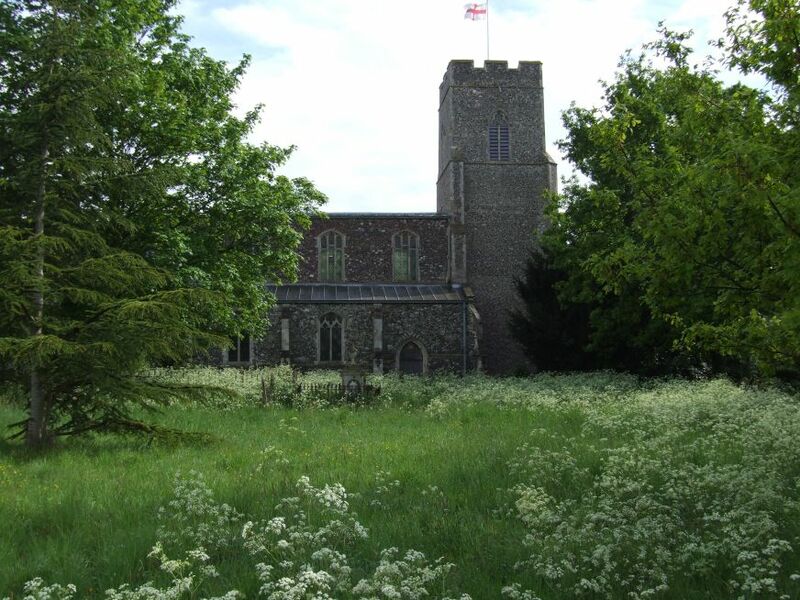 Now, anyone who knows Suffolk will tell you that no one takes a short cut through the Saints. This elaborate maze of twelve villages is connected by threadlike roads without name, direction or purpose, that lead you into farmyards and then peter out, or double back on themselves, so you see yourself across the fields trying to get to somewhere other than the place where you are. The Saints were created by a Zen Buddhist God to demonstrate the futility of life. 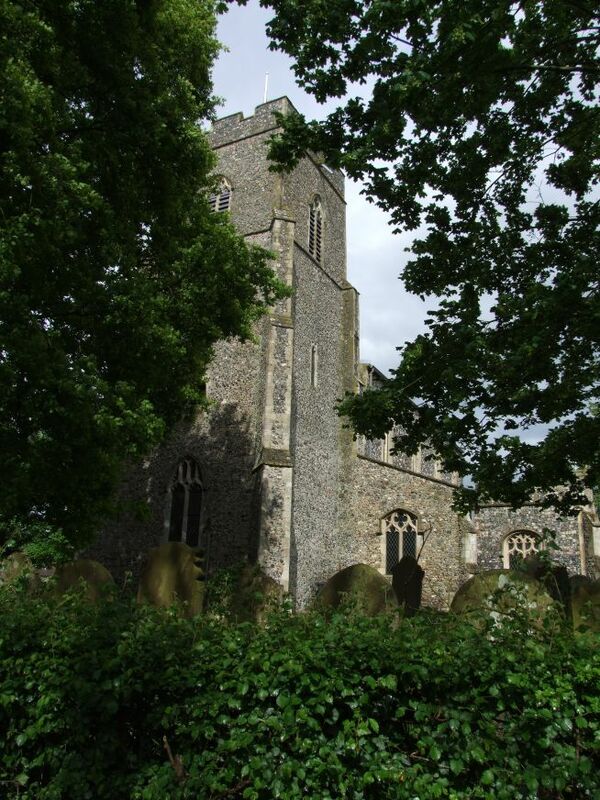 But I ambled on, aiming for the easily recognisable tower of the church of St George, South Elmham St Cross, which would lead me to my intended destination. The road lurched and dipped, straining to throw me off down some unmarked byway, but I held to my course. 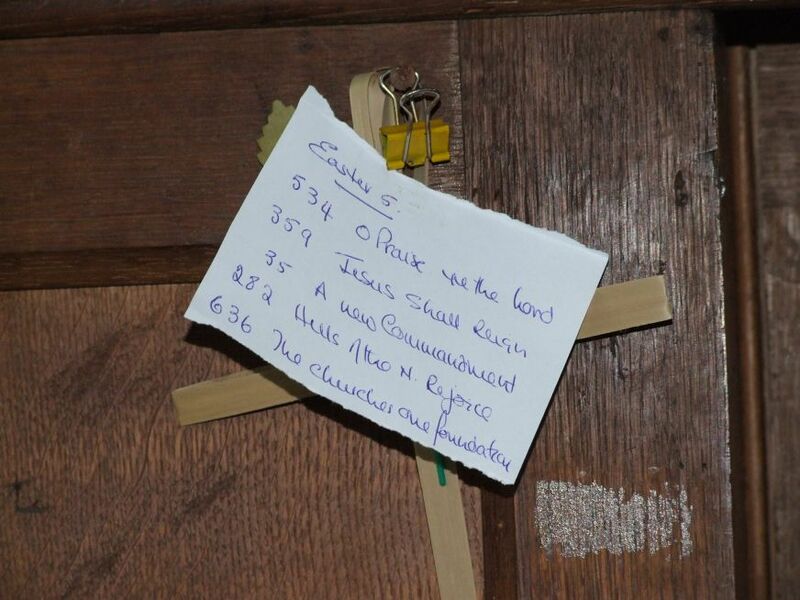 I had a map, a sense of direction, and would not be diverted from reaching St George. 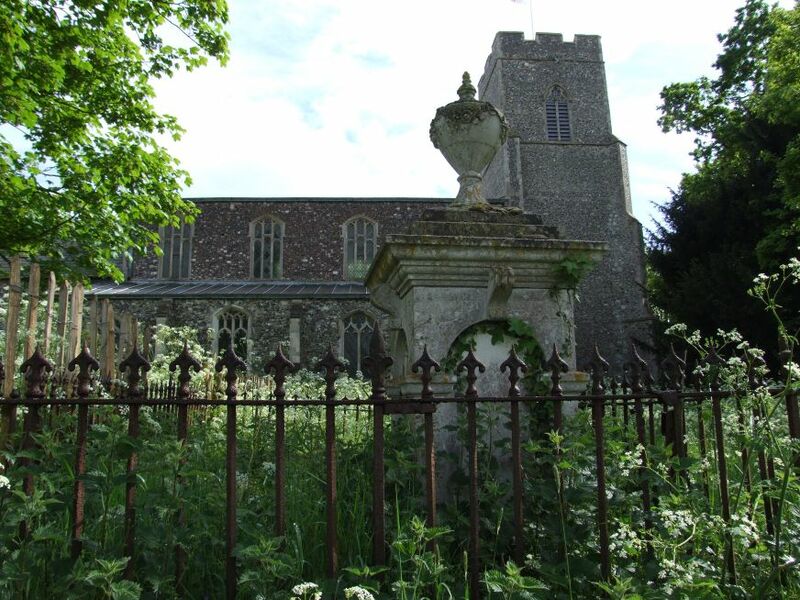 And then I got there, and it turned out to be South Elmham St Peter. I stopped for a moment, exasperated. Looking at the map, it was easy to see where I had gone wrong (they do this to you, the Saints, they point out your inadequacies) but I was now 4 miles further east than I should have been. I found a lane that led me down into South Elmham St Margaret, and resisted the temptation to head off of this road, which was the correct one. Okay, then I didn't. I was going to stick to it, but a sudden lane pointed to St Cross. So I took it. Instantly, it narrowed, dipped, and sent me hurtling into a tunnel overgrown with hawthorn. The road surface disappeared under a sea of mud, obviously left over from the winter ploughing. My bike cheerfully sprayed the slurry all up the front of me. Now, I'm a reasonable man - well, mostly. But I have no time for the Countryside Alliance mob, and howled in execration, something along the lines of "----ing farmers, why can't they keep their mud on their ----ing fields where it belongs", which caused mild consternation to the donkey skulking under a tree at the bottom of the dip. I climbed up the other side of the valley - and at the top of the rise there was a proper road, and a sign saying Mendham 2 and I knew I was free. With a cry of "YES!" I headed on into Mendham, a large and civilised place, which was birthplace and home to the artist Sir Alfred Munnings. 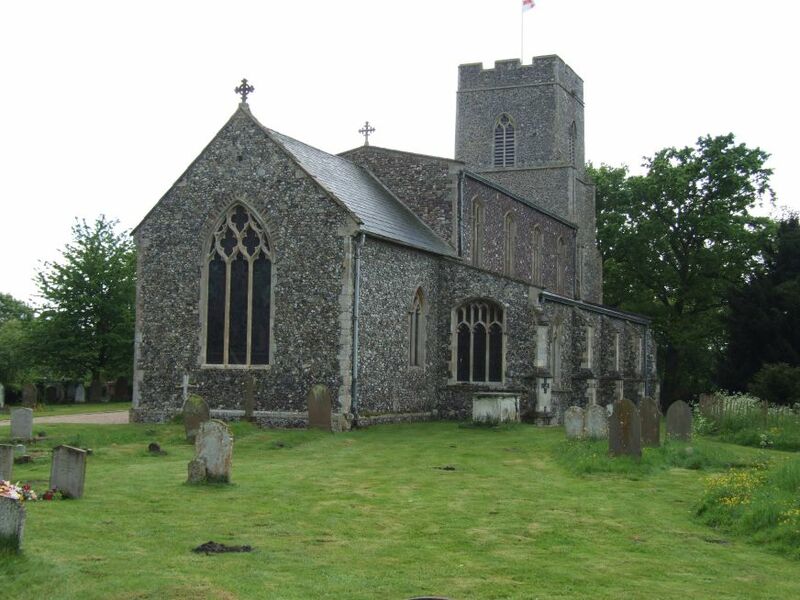 Right beside the Waveney sits the pretty church of All Saints in a delightful graveyard. The first impression is a neat, substantial building, and indeed this is a major 19th century restoration that was done well. 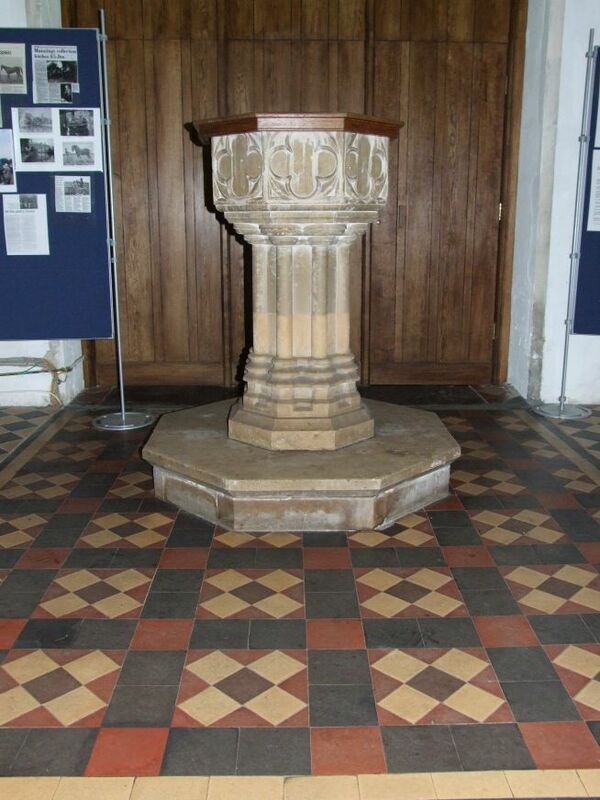 The 14th tower is slightly older than the body of the church it stands against, but the chancel is late 19th century. 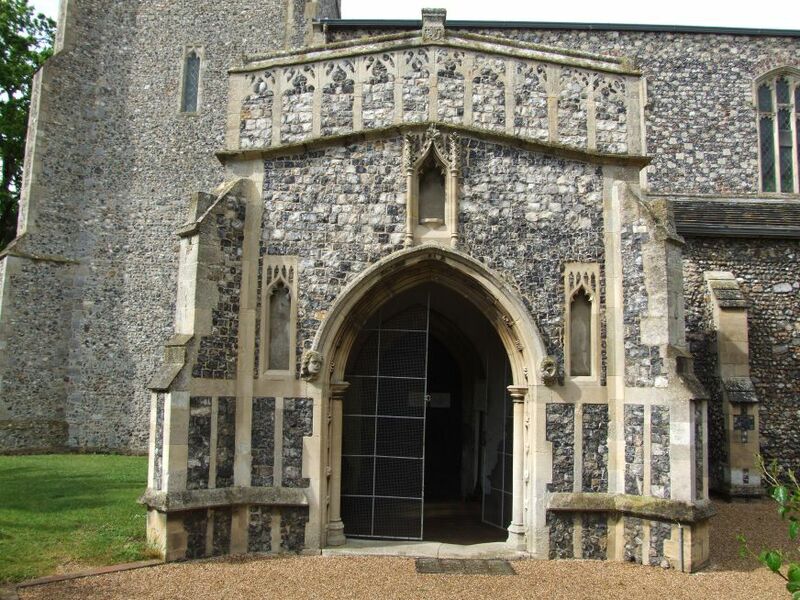 The going over the rest of the church received 20 years earlier was at the hands of our old friend Richard Phipson, and the headstops on the porch will instantly remind us of his contemporary work at St Mary le Tower, Ipswich. 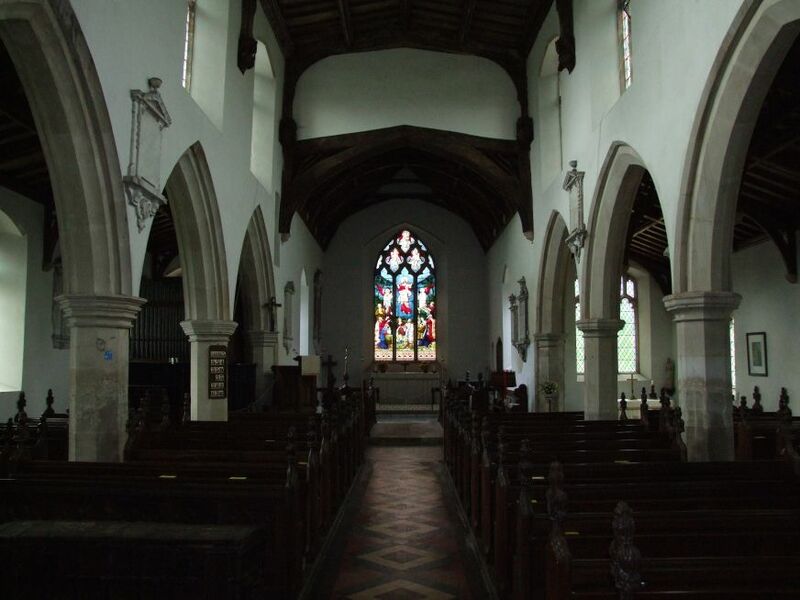 It is a big church, and the inside is pretty much all the work of Phipson in his 'see, I can be surprisingly creative when I try' period. 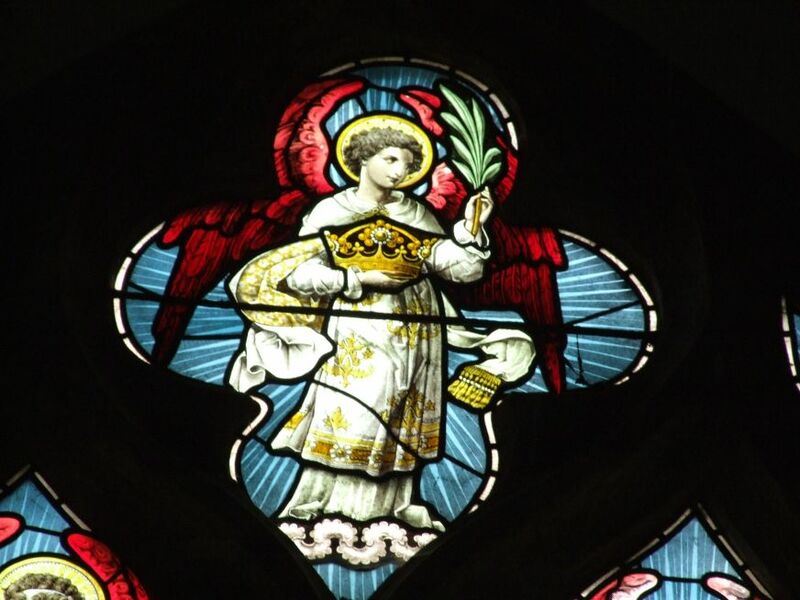 So it is very Victorian, although I thought the roof angels were superb despite this. They bear shields with a complete set of Passion symbols. 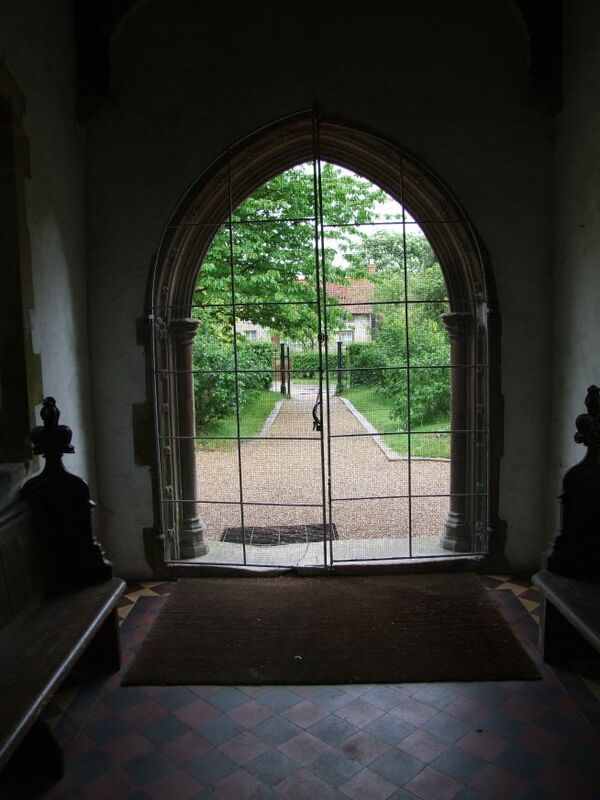 The chancel arch is very striking, being wooden, and based on a pair of arch braces. 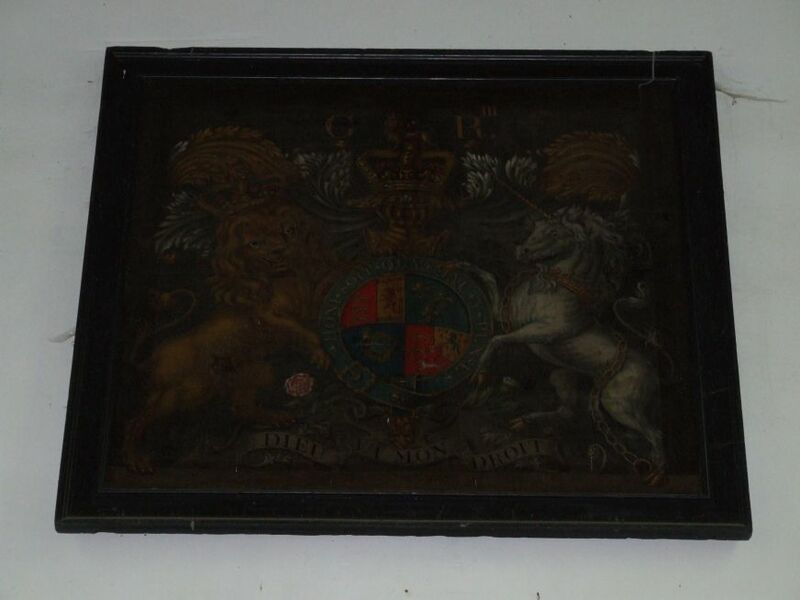 There is a fine memorial to William Godbold, as well as a number of lovely brasses to the Freston family, which don't seem to get mentioned in books on the subject. 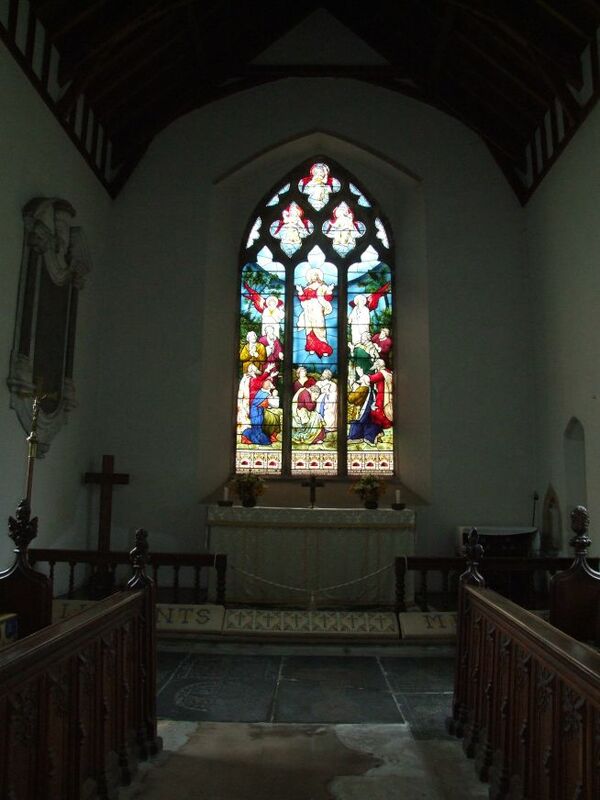 Best of all, I think, is the 1880s east window by Ward and Hughes depicting the Ascension. Mortlock thought the painting of the Presentation in the Temple was probably Venetian, dating from the early 17th century. In general, this is a crisp, spare, simple interior, a cool place to pause in the middle of a busy journey. 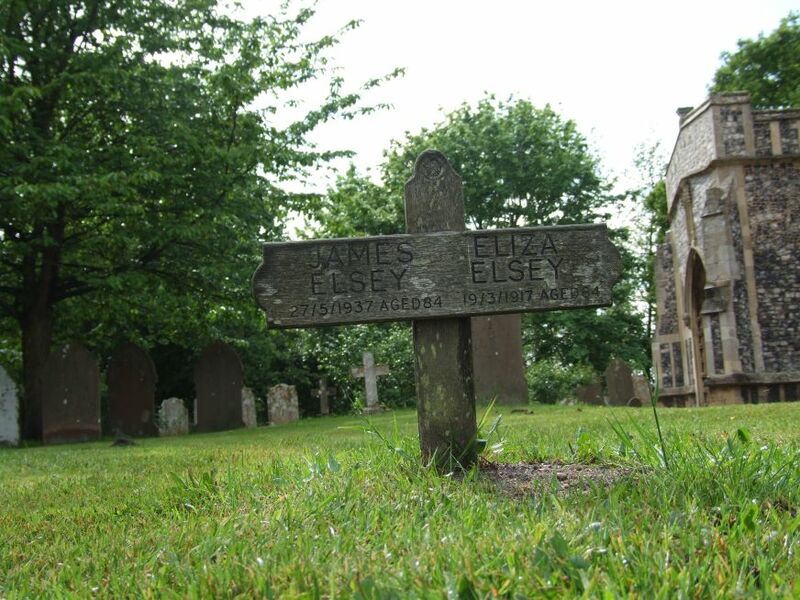 Back outside again, the graveyard has something that no other graveyard in Suffolk has. 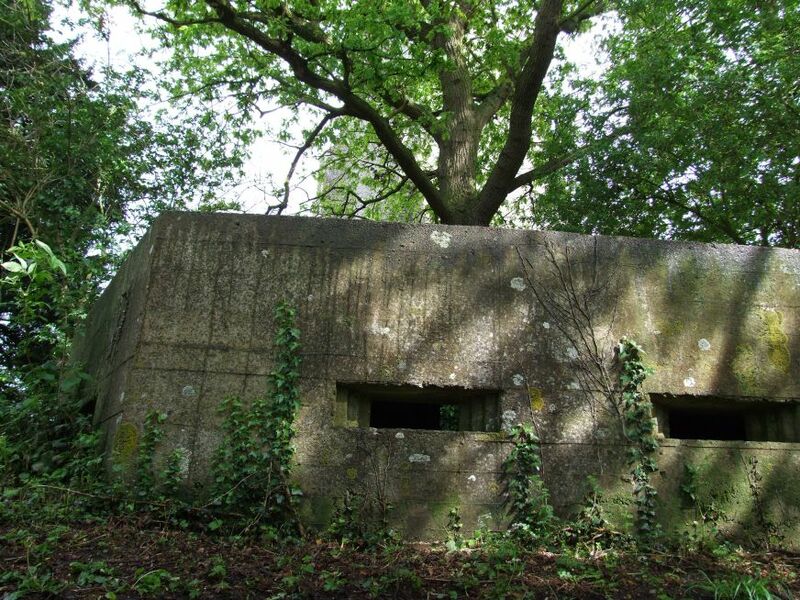 The western edge drops straight into the Waveney, and against this edge is a pill box, a machine gun emplacement from the Second World War (or, at least, I'm guessing it was built to repel Nazi invaders, rather than anything that might come across from the Norfolk side). 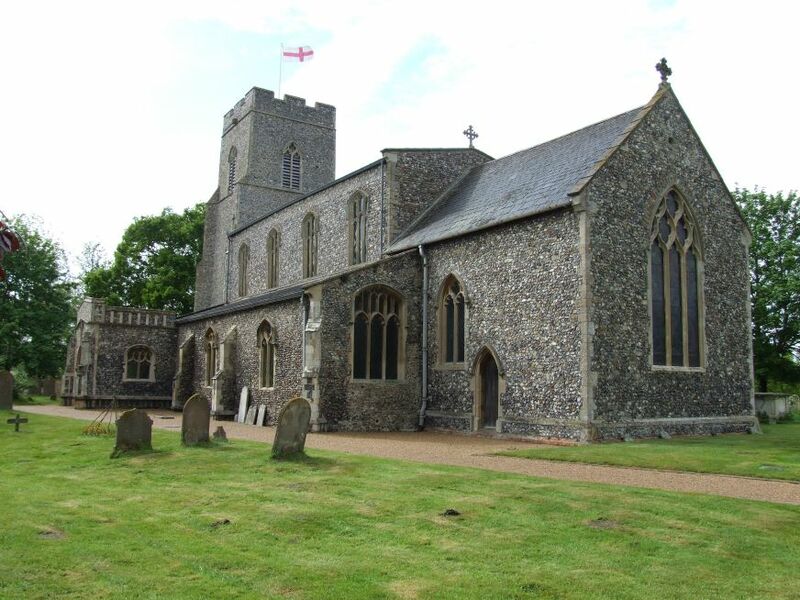 My next port of call was Weybread, just three miles away - but five if I stayed in the narrow winding lanes on the Suffolk bank, so I took a deep breath, screwed up my courage, and crossed the river into Norfolk. 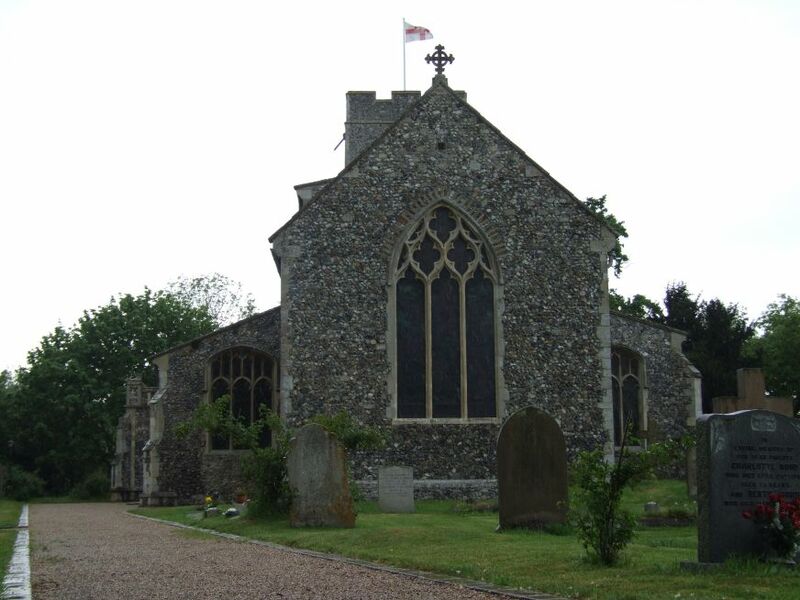 All Saints, Mendham, is situated between Bungay and Harleston, Norfolk, just south of the border. I found it open.